Network Work Mode: FTCP, HTCP, CTCP, NUDP, CUDP, HUDP, TCPSVR and UDPSVR. 1 means DTU only supports 1 data center, DTU will connect to main center, once it couldn’t connect to backup center, it will continue to connect to main center till it’s connected. 2-5 means DTU supports multi centers, and all the other centers will get sync data. Center Addr.+Port: it can be configured as DNS or IP address. 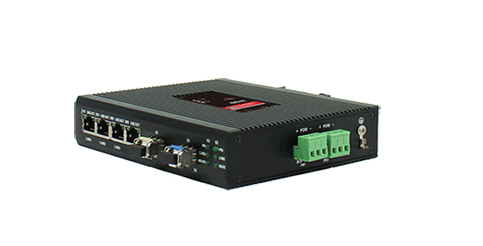 When user use DNS for center, a DNS server is required to analytic the corresponding IP address. Call center: dial number of call center for cellular network. 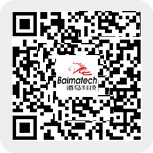 Below are some examples of APN, Username, Password and call center of Chinese mobile carriers. Note: Different carriers may have different APN, Username, Password and Call Center, please call mobile carriers for those info if you have any questions. This setting will only work when both main and backup center are enabled, under this work mode, if main center fails, BMD100 will auto connect to backup center. If user choose ‘Y’, DTU will check whether main center is recovery or not, if yes, it will switch to main center, and disconnect with backup center. While if choose ‘N’, BMD100 will not check whether main center is recovery or not. 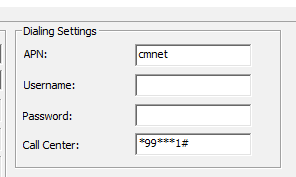 Custom Register String: user can configure it when network word mode is configure as CTCP and CUDP, but user can also choose not to configure it, which means register string won’t be sent. Note: the length of register string is up to 70 bytes. Custom Heartbeat String: user can configure it when network word mode is configure as CTCP and CUDP, but user can also choose not to configure it, which means register string won’t be sent. When network work mode configured as FTCP, if choose Y, then BMD100 will transfer meaning ‘0xfd’ to ‘0xfd’ and ‘0xfe’, and ‘0xfe’ to ‘0xfd’ and ‘0xee’. If choose N, it is transparent transfer. 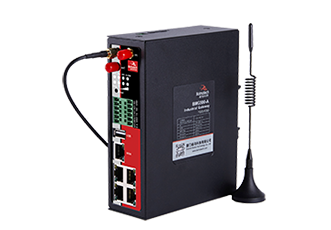 TCP MTU: set up the maximum number of data transmission for each TCP data packet. Only available when data center number is 2-5. 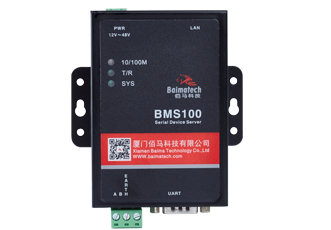 In real application, the data center may be shut down or have issue, and that will cause BMD100 disconnects from data center, while in order to keep BMD100 always online, it will try to reconnect the data center, and that will cause unnecessary data flow. 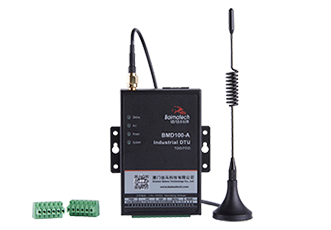 So user can configure those 2 functions to save the data flow, when Reconnect Time Interval enabled, BMD100 Cellular ip modem will try to reconnect data center, and if Connect Retry Times exceed the value user set, while BMD100 is still unable to reconnect to data center, BMD100 will do exception handling. 0 means disables ECHO Heartbeat. 1-65535 means heartbeat interval, 60 seconds is suggested. This helps to maintain connection of Application layer and mobile carrier’s network, to avoid being forced to sleep, and helps to check the stability of connection. 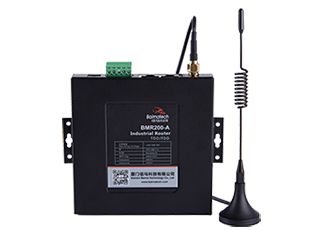 Previous: Nothing Next: How to sim card in Cellular IP Modem?